The first beta version of iOS 12.1, released earlier on Tuesday, appears to support Face ID authentication while a device is in landscape mode, although the option is likely to be reserved for upcoming iPad Pros. The option probably will not work with the iPhone X, XS or XR, because it requires Apple to re-align sensors at the front, developer Steve Troughton-Smith noticed on Twitter. Landscape support can be useful on the XS Max, as some apps take advantage of the 6.5-inch screen of the phone to provide a split view in that direction. With iPad Pros this is perhaps even more important, because iPads are often or sometimes only used in landscape mode, and it would be difficult to have to go to portrait mode each time Face ID is needed. Apple did not announce new professionals on its press release on September 12, as some rumors had suggested. However, the company would work on updated 10.5 and 12.9-inch models, which are expected to include not only Face ID, but also much thinner bezels – not entirely edge-to-edge like the iPhone XS, but close by. 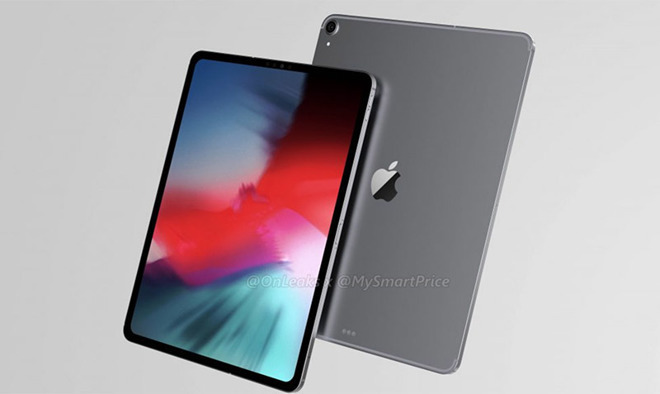 There are also rumors that the tablets are switching from Lightning to USB-C and in fact Troughton-Smith comment that iOS 12.1 "cares a lot more about whether an external display is connected," which would be logical if there is no Lightning-to-HDMI adapter in the way. Apple could still launch new iPad Pros before the end of the year, as it sometimes includes product announcements in October.